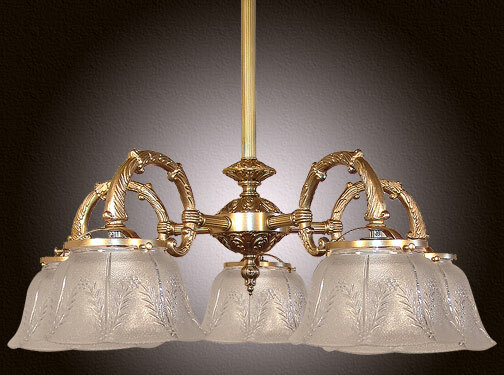 Downlight Victorian gaslight featuring beautiful Wheat Glass. Very impressive anywhere you hang it. We'll face the lights up if you like... all you have to do is ask! Reeded tubing and nearly all cast brass parts. This one is heavy in weight but light on the eyes! Did we mention that all of our lighting fixtures are proudly MADE IN AMERICA!